MoparÂ®, Chrysler Group's parts and accessories brand, is launching a complete line of performance upgrades designed to make the Dodge SRT-4, already the quickest production car in America under $20,000, even quicker. When Chrysler Group's Performance Vehicle Operations (PVO) engineers were given the challenge to make this Dodge's factory tuner car even quicker, they didn't yield at yellow, nor did they stop at red; they saw green and gassed it. Upgrades include "go-faster" items such as a turbo upgrade, new manifolds and transaxle enhancements. PVO engineers have been working behind the scenes to develop Mopar Performance parts that will be available this summer at local Dodge dealers. "Whether you're involved with the street scene or the racing crowd, Mopar has the right parts and accessories for your Chrysler, JeepÂ® or Dodge vehicle," said Chris Cortez, Chrysler Group, Senior Vice President - Global Service and Parts. "Our customers want to go faster and personalize their vehicles. We want them to look at Mopar first." According to the Specialty Equipment Market Association (SEMA), $182 billion was generated in aftermarket retail sales in 2002. Of that, nearly $27 billion was from performance parts and accessories. Additional research on the "tuner" (compact performance market) shows that it generated $2.5 billion in retail sales in 2002, and the vast majority was spent by consumers 16 to 27 years old. "It's important to build relationships with this group of consumers now, as they enter the vehicle purchasing cycle of their lives," added Cortez. "The compact tuner performance segment is truly a phenomenon, and we have to be part of this culture." Mopar Performance is launching a whiplash-inducing Stage 1 turbo upgrade kit. This kit pushes the power and performance of the Dodge SRT-4's 2.4-liter turbocharged engine to 240 horsepower and 260 lb.-ft. of torque. The kit consists of four fuel injectors, which produce a10-percent greater flow-rate than stock injectors, and one Mopar Performance powertrain control module (PCM). It's calibrated for increased wide-open throttle and part-throttle boost, more aggressive exhaust note during deceleration, improved turbo response, enhanced first-gear boost schedule for a higher-performance launch and a boost hold feature during wide-open throttle shifts. "The only thing better than horsepower is more horsepower," said Kevin Miller, Senior Manager - Mopar Brand Excitement and Motorsports. "We're excited to be able to bring the Stage I turbo upgrade kit to market in June 2003 for just $399." Next in the arsenal of performance parts offerings for the Dodge SRT-4 is the Mopar Performance turbo blow-off valve. The blow-off valve is designed to prevent both premature boost leakage and compressor surge. This blow off valve is a must-have accessory that enhances the sound of the turbo hard at work. The Mopar Performance turbo blow-off valve will be available for purchase next month. Mopar's limited-slip differential is another must-have component in making the SRT-4 even quicker. The Quaife, Automatic Torque Biasing (ATB) differential will be available exclusively from Mopar. The unique design offers maximum torque, improves handling and steering and puts the power where it is most needed. The system powers both drive wheels under nearly all conditions. It senses which wheel has better grip and biases the power to that wheel. It does this smoothly and continuously, and without ever completely removing power from the other wheel. Mopar's LSD will be available for purchase later this month. Where is the federal government? I know they are watching! Doesn't DC realise that promoting and selling unaproved parts as an automobile manifacturer will or should generate some reaction. This is not the same as Eldebrock or other Off Road Specialty Manifacturers. The promotion relies too much on the DC/Mopar/PVO connection. Some uninformed customer will be talked into the upgrade by the local dealer, and when caught red handed will drag everyone in with him. Dealers that install these parts as part of the DC company will make DC complicit in breaking the law. sounds cool...now how much of this is actually compatible with the cruiser? "Whether you're involved with the street scene or the racing crowd, Mopar has the right parts and accessories for your Chrysler, JeepÂ® or Dodge vehicle," said Chris Cortez, Chrysler Group, Senior Vice President - Global Service and Parts. "Our customers want to go faster and personalize their vehicles. We want them to look at Mopar first..."
Mopar Performance has developed a full line of gauges to fit the needs of the street performance enthusiast. All of the testing is done in-house, one of the many reasons Mopar Performance parts are the preferred parts for serious street enthusiasts and competitive racers. Either I need glasses, or this looks like promotion for "streetable" goods. Either they planned all along to yank our chain an make these mods legal, or they are doing deliberate deceptive advertising. 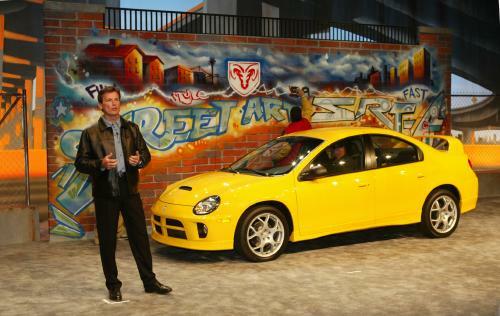 A significant wave of disgust is also developing in the SRT-4 ranks. All that needs to happen to have torch bearing crouds in the street burning DC crash dummys is for some unbacked warranty problems to arise. ok! Read the Chrysler Article. Read the Mopar Warranty. They are in direct conflict as far as intention. My business law is not up to speed, that was years ago,but someone hear mentioned implied! They imply in the news release that there are no issues and the other does. This is going to be some intesting next few weeks. If I had an SRT I would laminate that article. Mopar Performance parts are designed and tested by Chrysler Group PVO engineers for Chrysler Group products. No aftermarket company can make this claim. All of the testing is done in-house, one of the many reasons Mopar Performance parts are the preferred parts for serious street enthusiasts and competitive racers. If the parts are so good & tested then were does the warranty go? Questions like this will float some very long lawsuit!